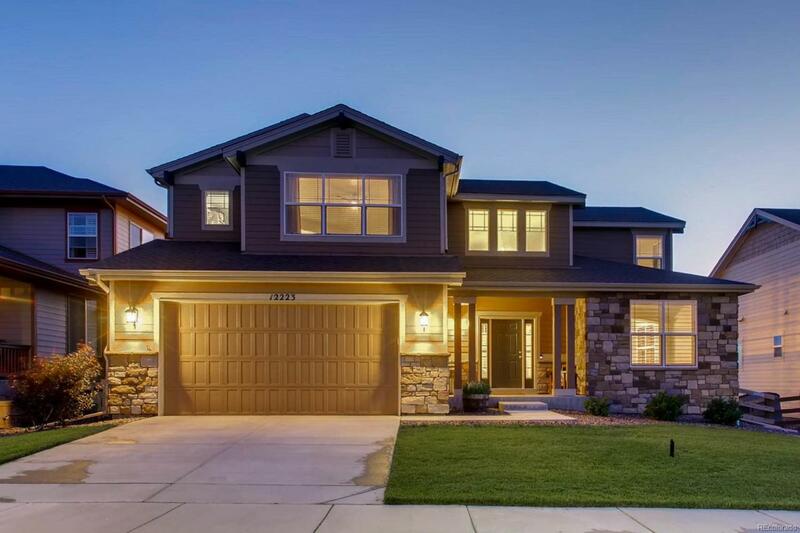 You will not want to miss this amazing home in the heart of Parker! This home has been meticulously maintained and features countless upgrades throughout, but you can't miss the best mountain views in Parker right out your back door! Once you enter the home you'll be greeted with an abundance of natural light and an open concept dining room and formal sitting room. Moving to the back of the home you'll find a large kitchen with slab countertops, under cabinet lighting, crown molding, and stainless steel appliances featuring a gas cooktop and double ovens. You can enjoy entertaining in the large open living room or step into your private office with french doors. Moving upstairs you'll find a huge master bedroom with 5 piece en suite and 3 additional bedrooms perfect for any family. Don't miss the huge walk out basement that has finished ceilings and two bathroom rough in's that are ready for your designs. Stepping into the back yard you'll find a perfect oasis with built in fire pit.